Jacques (1633-35) as well as sisters Anne (1628) and Francoise (1630-32). there. He later moved to Kingston and spent the remainder of his life there. ashes and his wife and three little children gone, stolen by the Indians. One day in early September a panic seized the Red Men, a fear that the soldiers were surely coming again. been shipped as slaves to Curacao should be returned to them, there was still time to take a bitter revenge. So squaws were sent out to gather faggots and they were laid in piles. The white women were brought forward. their weapons but resistance was in vain and the chief and many of his warriors were slain. the history of certain families and some other matter to 1850. Albany, N.Y.: Fort Orange Press, Brandon Print. Co., 1909. Pp 9 -19.
should marry again. Louis had moved from New Paltz to Kingston in 1686, and died there ten years later. Mrs.
Catherine died in Kingston in October 18, 1713. 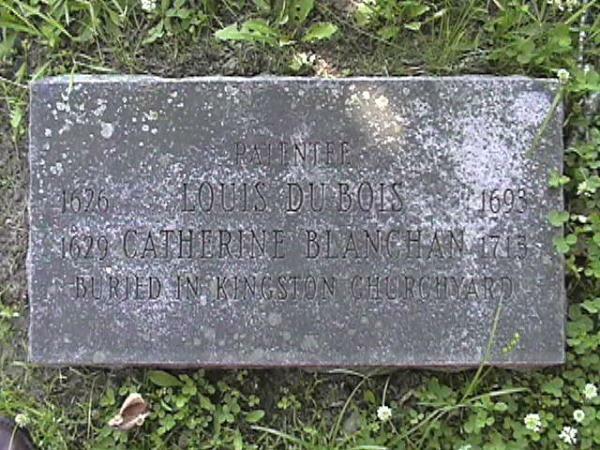 One can read an interesting and informative history of Louis Du Bois on this genealogy website: http://www. 7, 1731 and is buried in the Walloon cemetery at New Paltz.. https://www.findagrave.com/cgi-bin/fg.cgi? was born in Mutterstadt in 1662, in June, 1683. Isaac died June 28, 1690. 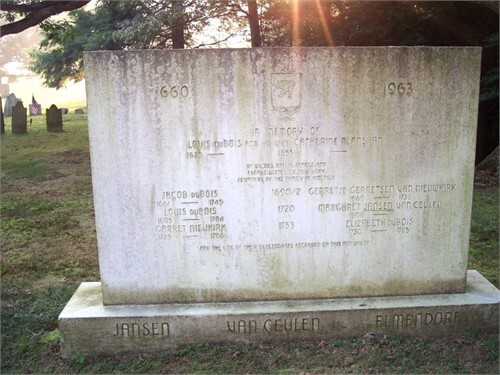 Sarah Du Bois Jansen – born September 14, 1662 and baptized September 14, 1664 in Kingston, New York. 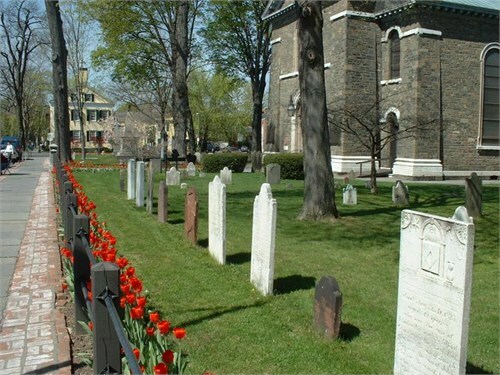 13, 1706 and Sarah died in Salem County, New Jersey in 1726. Kingston, on March 8, 1689. They settled at Rochester, New York. (Poughwaughtenonk). Solomon died February 2, 1759 at age 90 and Tryntje died the same year. Rebecca Du Bois – baptized June 18, 1671. She died young. 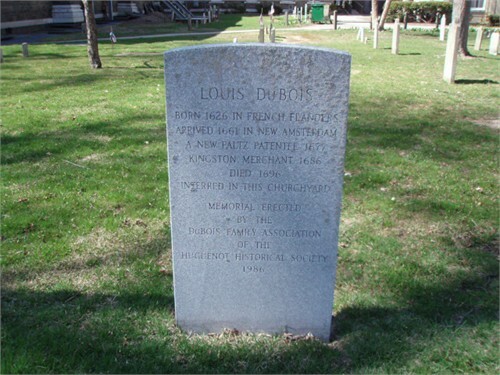 Rachel Du Bois – baptized in Kingston on April 18, 1675. She died young. Maria Deyo, baptized on May 12, 1680, on January 19, 1701 in Kingston. They settled at New Paltz (Nescatack). settled at Kingston. Matthew died in Dutchess County, New York, in 1748. Magdalena - baptized in New York on May 12, 1680.
efforts to free a slave woman. indenture also stipulates that Dina was to be freed at Jean's death."